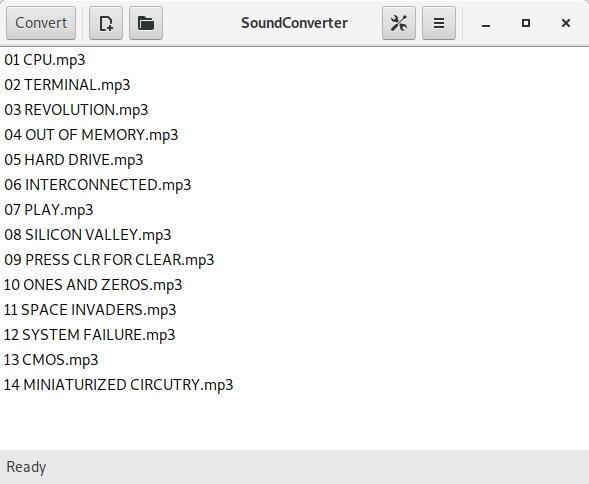 This program is free software; you can redistribute it and/or modify it under the terms of the GNU GPLv3. Linux, GNOME, Python, PyGTK, GStreamer, GStreamer-python, Gnome-python. 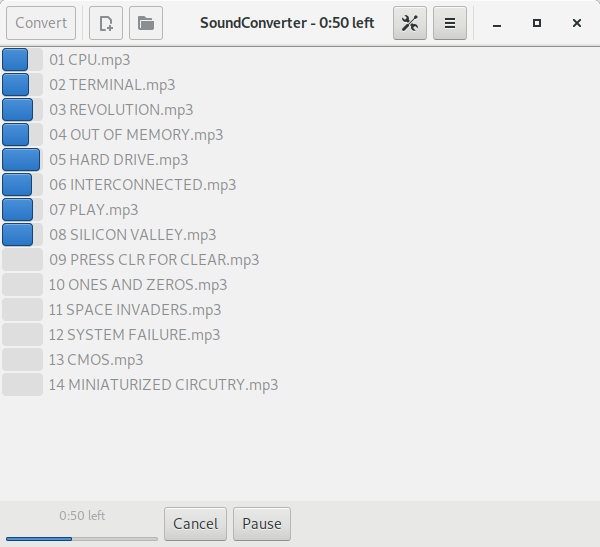 GStreamer-lame for MP3 output. 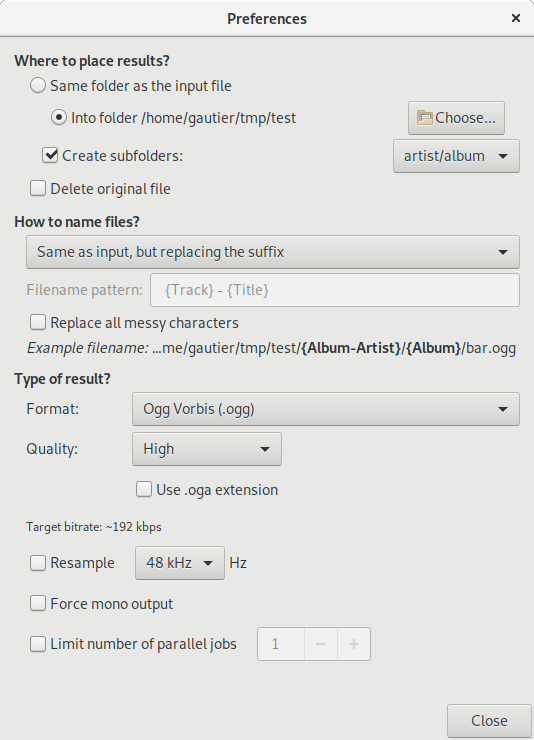 See this howto to enable mp3 encoding.